When Pax Tandon’s family would travel from their West Philadelphia home during the holidays when she was a child, she remembers one thing her parents always did before they left: turned the lights on. She didn’t really understand it at first, but now, the Philadelphia-based mindfulness expert and author of Mindfulness Matters understands her parent’s motives, which was to make their home appear lived in (or occupied). 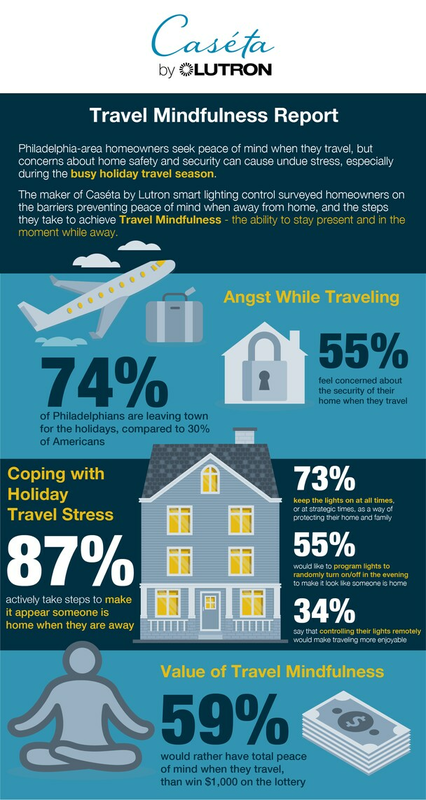 This year, 74 percent of Philadelphians plan on traveling during the holiday season, according to the new Travel Mindfulness Report, a survey released by the maker of Caséta by Lutron smart lighting control. So whether it is grandma’s in Glen Mills or Mai Tais in Maui, almost three in four Philadelphians will leave their home vacant at some point this month. “There are things we can do to alleviate some of that anxiety and stress while we’re traveling, so we can be more present wherever we are,” Tandon added. To help give more peace of mind, 87 percent of Philadelphians make it look like someone is home when they are away, the study said. But how do families make it look like they’re home when they’re not? The same way the Tandon’s have done it for generations. Being 2018, there are smarter ways to make it look like you are still home while you’re spending time with family elsewhere. 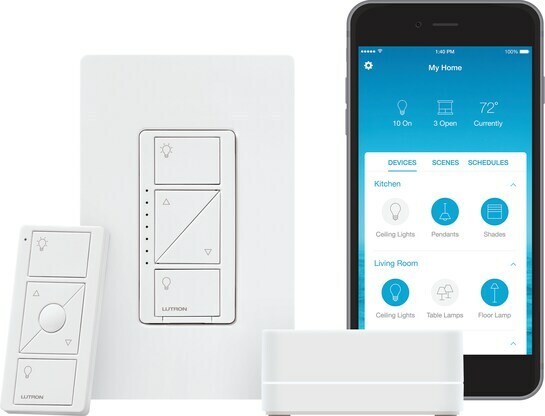 Smart home technology like Caséta by Lutron smart lighting control is app-controlled, so you can manipulate your home’s lights from wherever you are. There’s even a Smart Away feature that randomly turns selected lights in your home on and off between 6 p.m. and 11 p.m. when you’re away to give the appearance you’re still there. 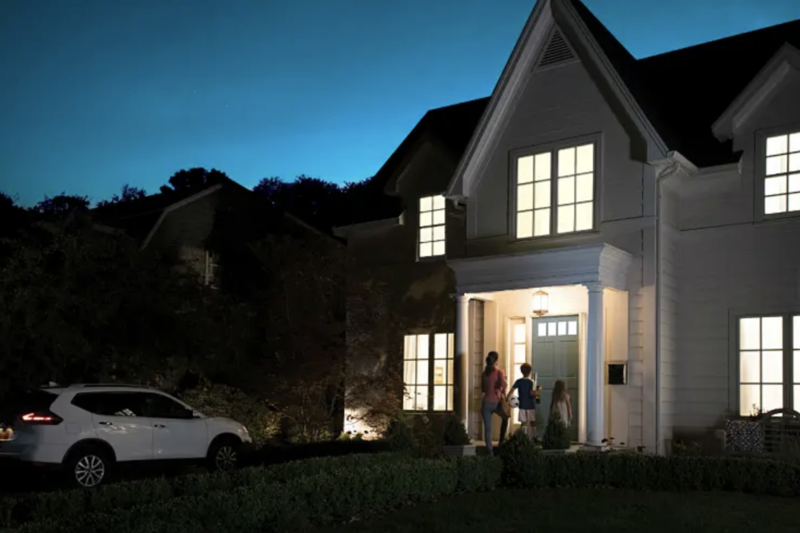 Not only can smart lights serve as a home security enhancement, but the system’s geofencing feature can be set to turn select lights on as you are arriving home to ensure that you’re walking into a well-lit space. More than half of Philadelphians said a well-lit home gives them peace of mind when they return from a trip. Not having to worry about your home while away can lead you to being more in the moment when celebrating with loved ones, which is what the holidays are really about.